We invite you to join us at OSLO International Boat Show 2019 to discover our new models . From 20 to 24 March 2019, with three of our most successful models, the heart of Poseidon Boats will be there! "BISKINIS BROS SA" was founded in 1980 with the aim of manufacturing f high quality and reliable boats with top safety and durability standards and the ability to navigate in the most adverse weather conditions. The building of our boats takes place in our privately owned facilities located in Schimatari, Viotia and consists of an area of ​​10000 m2, in which is built a modern 5000 m2 building complex, specially designed to meet the strictest specifications for the construction of polyester boats. A remarkable event is the vertically integrated production process of our shipyard, where, apart from the fiberglass, carpentry and montage application sections, we place a part of the construction of all stainless steel upholstery equipment, a wallpaper section, etc. All of our vessels are manufactured in accordance with ISO 9001 standards and are certified with C.E. The combination of excellent raw materials, specialized personnel and continuous technological development guarantees the excellent quality of our boats. We only use high quality isophthalmic, glass-fiber and isophthalic anti-foam GEL COATS with classification society certificates. 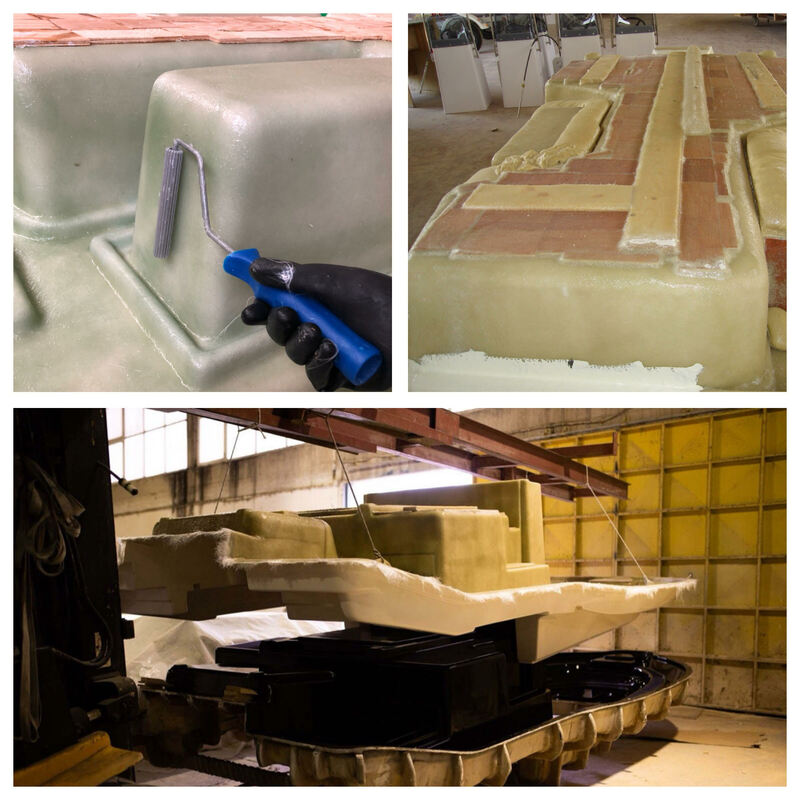 All our employees have strong and long-term experience in the construction of boats. The weighing of each part of a boat (hull, deck, etc.) is necessary for the construction of boats of constant quality and same technical characteristics. Each boat is thoroughly inspected at all stages of its construction in accordance with the ISO 9001/2000 quality assurance system that we have.